How can parents make sure their children don’t lose their faiths? Enrolling them in religious school is not enough. As a recent story from the BioLogos Forum makes clear, education ranges far beyond schooling. Too many hasty critics, religious and secular alike, have assumed that we can control education by controlling schooling. It’s just not that simple. In the pages of the BioLogos Forum, college sophomore Garrett Crawford shared his educational story. Crawford was raised in a conservative evangelical household. He went to a Christian school, one that presumably hoped to shield Crawford’s faith from secularism. While at that school, Crawford relates, he grew curious about the scientific evidence for evolution. After a lot of reading and study, Crawford concluded that he could no longer believe in young-earth creationism. After a lot more reading and study, Crawford concluded that Christian faith does not require a belief in a young earth. It is entirely theologically legitimate, he decided, to accept the science of evolution. In Crawford’s case, his education took him in directions his school never intended. Such stories shouldn’t surprise us. After all, with just a moment or two of reflection, we can all think of ways that our “education” has differed from our “schooling.” Yet in all of our tumultuous educational culture wars, pundits rush to make sweeping claims about education based on scanty evidence from schools. We’ve seen this recently in the pages of the New York Times, when philosopher Justin McBrayer declared–based on data that was not just slim, but positively anorexic–that Our Schools Were Training Amoral Monsters. Public education has failed! It is failing to provide a good academic education while exposing our children to a godless, secular-humanistic approach to life. the real issue concerns Christian colleges, universities, and seminaries that break away from the authority of Scripture in Genesis—held to by the majority of scholars up through the Reformation—and teach students that God’s Word doesn’t mean what it says. That’s what makes students doubt the truthfulness of the Bible as a whole, and can be a major reason many of them walk away from the Christian (not “creationist”) faith, as we see happening in our culture today. Scaramanga’s own case, however, shows that schooling of any sort is only one part of a person’s education. Scaramanga himself has now become a leading voice in the anti-fundamentalist education scene. Like Garrett Crawford, Scaramanga’s education took him in directions that his schooling never intended. The take-away? Of course we should all care about the way schools operate. Better schools will help produce better educations for all students. At the same time, though, we all need to remind ourselves that formal schooling makes up only one slice—sometimes a small slice—of a person’s education. How many of us, after all, can say that we came out the way our schools intended? Posted in Evolution/Creation, Higher (Power) Education, What is school? Is there a way to talk about creation and evolution without anger? Without getting defensive? Can evangelical Christians teach evolution without alienating their staunchly creationist fellow Christians? Fulcher laments the anger and hostility that are so often generated by these questions. How does he approach teaching evolution in a Christian, creationist environment? By remembering that love comes first. Honor the individual and their journey by remembering our own – It has taken years and a lot of study and thought to get where I am on this issue, so don’t expect others to make huge leaps in their own positions…be gradual. Of course, for some pundits on various sides of the creation/evolution debates, Fulcher’s person-first approach raises hackles. Some creationists might worry that the Bible must always come first, even if some people find it off-putting. Some evolution advocates might lament this sort of truckling to religious superstition. The legitimacy of science, they might say, must not be abandoned, even if it hurts the feelings of some religious listeners. How can someone really understand evolutionary theory, critics might say, without somehow believing it? Can belief really be separated from understanding? Though I don’t share Fulcher’s religious faith, I do share his opinion that effective education of any sort must begin by understanding and even loving one’s students. In the narrow question of evolution education, that means not attacking students’ faiths. It means beginning and ending with the positive relationships between teacher and student that are at the heart of any good teaching. What dead-end questions do we keep asking in our continuing creation/evolution debates? What does real science say? What does real religion require? How does the evidence prove the claims of Darwin? As we’ve seen recently, smart people can bump heads endlessly on these questions without ever convincing one another. As I argued in my 1920s book, these go-nowhere debates have been going on for almost a century. A piece on the BioLogos Forum recently demonstrates the centrality of this basic question to attitudes about evolution and creation. Geochemist Steven M. Smith relates his story. For followers of the creation/evolution controversy, it is a familiar one. An earnest young Young Earth Creationist sees the scientific evidence for a young earth. This evidence brings on not only a scientific or religious crisis, but an existential one. As Smith relates, his young self felt forced to choose between his Christian identity and the unassailable evidence of science. For Smith, it was Christian support, including the “Christ-like” model of a Christian academic mentor that convinced him that he could be both Christian and scientific. Smith’s story is not an outlier. As anthropologist and science educator David Long argued so convincingly in his book Evolution and Religion in American Education, the central question for most students is not one of scientific evidence or religious belief. The real question is one of identity. Evidence that contradicts deeply held beliefs can trigger an existential crisis. Though a few extraordinary individuals might pull off a wholesale revolution in their understandings of their selves, most people reject the evidence and stick with their well-established identities. In the case of Long’s study of biology students at a large secular public university, most students from creationist backgrounds did not “convert” to belief in evolution. As Steven Smith’s story suggests, simply pouring more science on people will not make much of a difference. If we want to promote more and better evolution education, we need to consider the profound implications of evolution for the identities of many creationists. An acceptance of evolution, for many, is not simply an acquiescence to evidence. Instead, unless and until they find a way to construct an identity consonant with both their religion and the scientific evidence, it would entail a wholesale revolution in their understandings of themselves. If we want more people, more creationists, to accept the evidence for an old earth and common ancestry of species, it makes sense to support those religious folks who can help create and promote such identities. Creationists: Randy Moore Wants Your Children! There is no doubting Randy Moore’s evolution-education credentials. A professor of biology at the University of Minnesota, Professor Moore has received the National Center for Science Education’s Friend of Darwin award, and the National Association of Biology Teachers Evolution Education award. 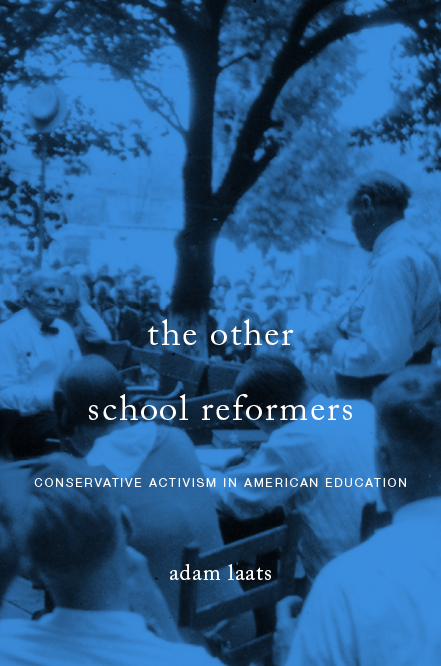 Randy Moore, in short, has long been one of the most engaging and engaged voices in the campaign to get more evolution education into America’s schools. And what is Moore’s most recent argument to make America’s schools more evolution-friendly? 1.) Let Jesus teach it! 2.) Catch creationist kids young! In other words, as Moore and Cotner convincingly demonstrate, simply assuming that the scientific evidence for evolution will convince creationist teachers has not worked, and will not work. They rely heavily on the research of Penn State political scientists Michael Berkman and Eric Plutzer. Instead, evolution education needs to get away from the delusion that the scientific evidence alone will do the job. With adults, effective evolution education, as Moore and Cotner contend, must address “philosophical and religious” issues involved. This conclusion makes eminent sense. However, it brings us to an awkward realization: science education must range far beyond science education to be effective science education. Are creationist teachers to be taught that Jesus wants them to accept evolution? That seems to be Moore’s and Cotner’s implication, and it raises a host of thorny issues. The second prong of their policy argument is equally radical. If “fact-based” evolution education is to work, Moore and Cotner argue, it must reach young students before their families’ influence has become decisive. In other words, effective evolution education must evangelize aggressively to counter the “supernatural explanations” offered young people by their parents and church leaders. Effective evolution education must seek to replace those family influences with the influence of scientific evidence. Randy Moore has long been one of the smartest voices in the field of evolution education. And his logic in this article seems uncontrovertible. Yet it raises disturbing questions. Can evolution educators discuss “philosophical and religious” implications of evolutionary theory? Doesn’t that amount to sectarian religious education? In other words, if science educators try to teach that Jesus is not against evolution, isn’t that making a strictly religious argument? And we need to ask tough questions about targeting young minds: Can a campaign to reach young creationist kids work? Is it the place of public education to target family culture and religion?